WildWash Flea & Bug Repellent shampoo for dogs and horses contains Horsetail, Eucalyptus and Nettle. For this product, WildWash have chosen ingredients from four continents that have been selected as the most effective insect repelling botanicals in their country of origin. By combining these, WildWash have created an effective natural Flea and Bug Repellent for dogs and horses. The revolutionary blend of plants and herbs uses ingredients such as Horsetail, Eucalyptus and Nettle which work together to help deter fleas, flies, mites and ticks. All the WildWash products contain No Parabens, No Phthlates, No Phosphates, No Petrochemicals, No Sulphates and No PEGs. They contain 100% Pure Essential Oils – No Synthetic or Semi Synthetic Fragrances. 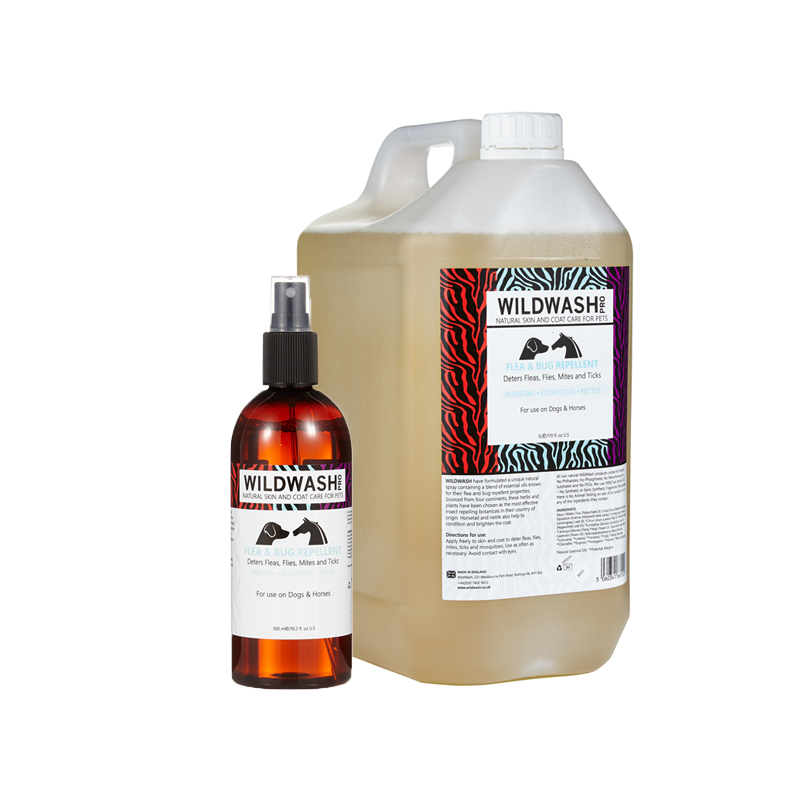 Wildwash guarantee there is No Animal Testing on any of their products, nor on any of the ingredients they contain. All Wildwash products are Made In England.